As much as I love lazy summer days and the spontaneity of it all, I also crave a little structure. (I know, you’re surprised, aren’t you?) I started the summer with a devotional for the boy and some intentionality, but I needed a little more. I got an email this morning from Mary at Trusty Chucks with their summer checklist, and it inspired me to create one that works for our needs. It’s pretty simple, and that’s by-design. So we’ll start here and make adjustments as needed. Everything on the list is already something that’s expected of him. It’s also the bare-minimum. This is acting as a jumping off point to move from. I don’t want to run a jail or take away the lazy days of summer, but I need a little more structure to keep myself from getting mad at things I expected but never asked for. How do you structure chores? 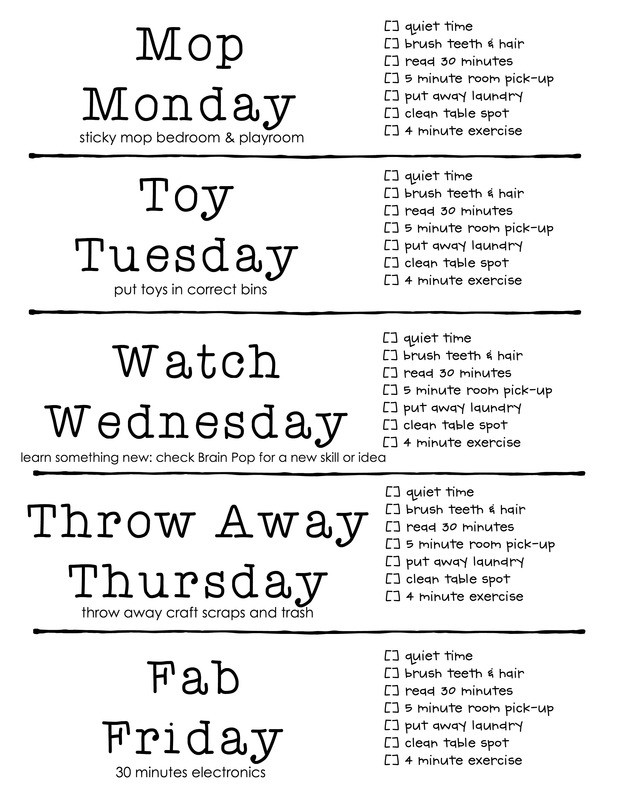 What is expected for your children each day in the summer?